VTech Spin and Learn Color Flashlight Only $9.85 Plus FREE Shipping! You are here: Home / Great Deals / Amazon Deals / VTech Spin and Learn Color Flashlight Only $9.85 Plus FREE Shipping! 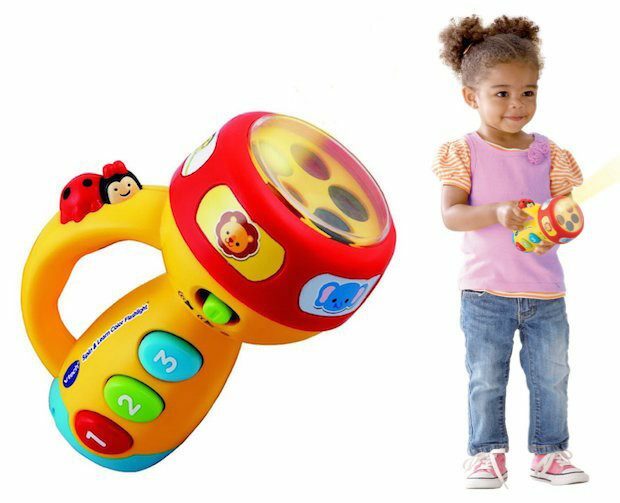 This educational kids toy features exciting songs and music that teach about animals, colors and numbers; ladybug button activates sounds! Get your little one the VTech Spin and Learn Color Flashlight for Only $9.85 Plus FREE Shipping! This flashlight toy operates on 2 AAA batteries that are included; after 45 seconds of inactivity the toy will automatically turn off!